As their relationship grew, they spent their time together exploring Miami, going boating, and hanging out with friends. One of their best friends, by the way, is their adorable puppy Brandi, who also got to hang out with us during our Around Key West photo shoot after the wedding! Romel proposed to Erika on a trip to Hawaii, and they have since enjoyed lots of exotic destinations together. 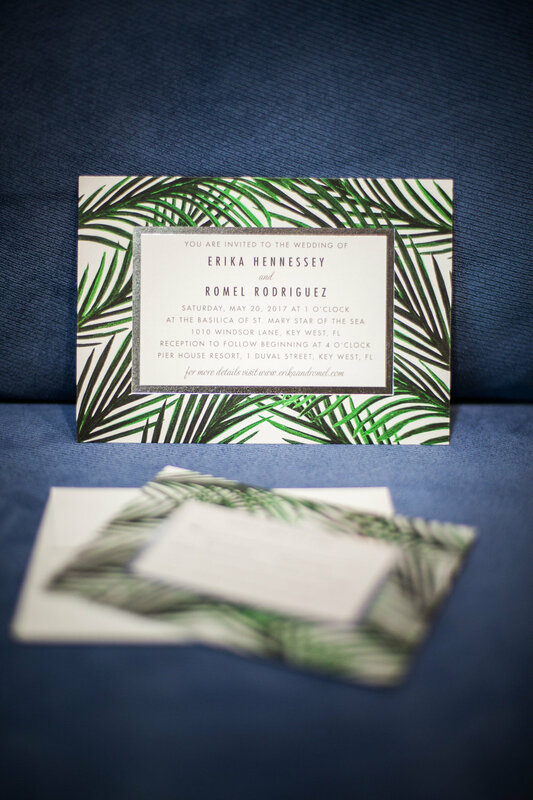 Their MOST exciting destination, if I may be so bold to assume, would be Key West, Florida, where they celebrated their wedding day with family from all over the world! The wedding day began at the Pier House Resort in the large comfortable bridal suite. Erika got ready with Bella Luxe Hair and Makeup, giving the perfect complexion that dewey glow every bride dreams of, while her mom, sister, and other attendants enjoyed some pre-wedding pampering as well. The girls looked stunning, and Erika was able to relax and enjoy the morning. 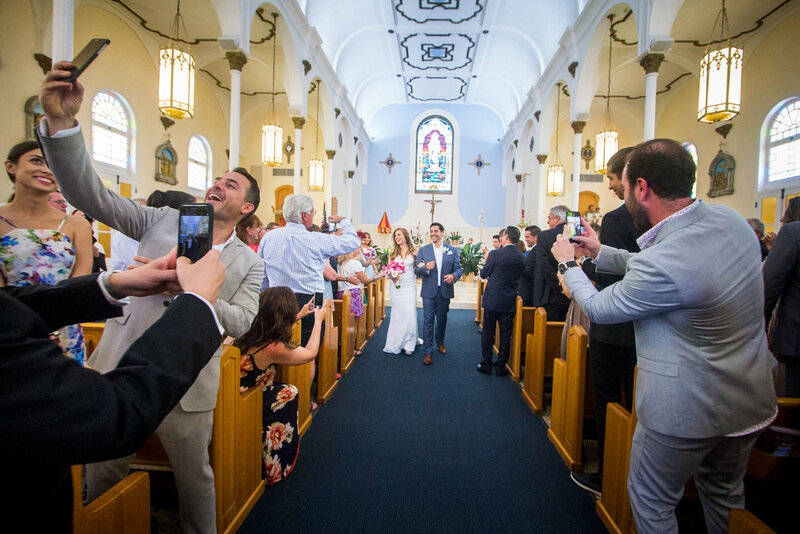 The ceremony at Saint Mary's Star of the Sea was absolutely beautiful, with readings by family members and a lovely service by Father John Baker, whose warm and welcoming personality and witty humor make for a great way to celebrate an already holy union. After the ceremony, the family gathered for portraits in and outside the cathedral, while guests took a trolley ride over to the Pier House for cocktail hour. 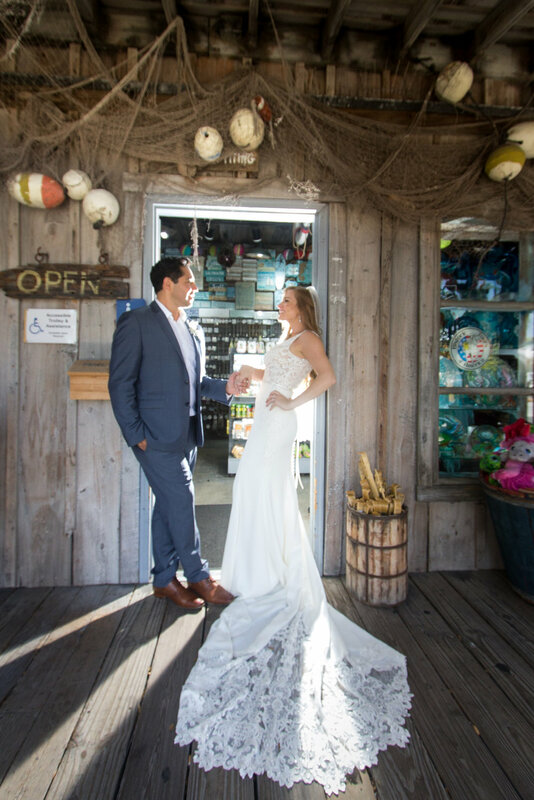 We managed to sneak in several stops around the island to capture some photos of the bride and groom in the natural Key West surroundings. 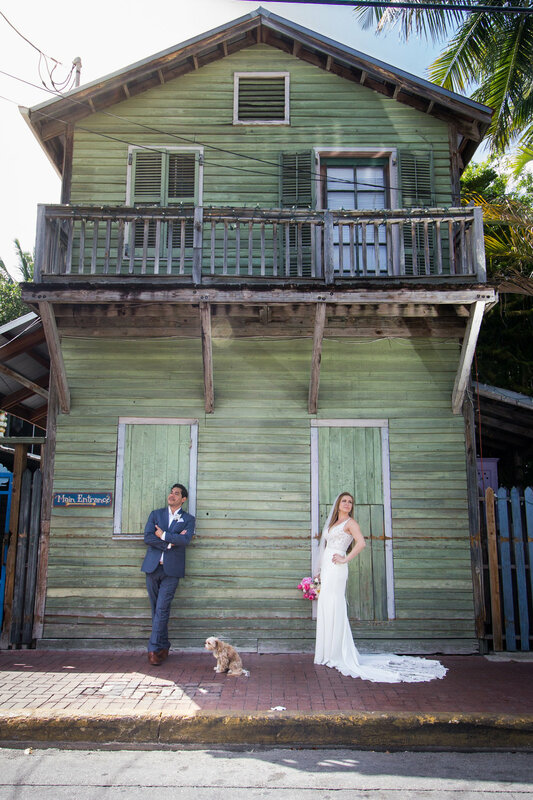 Boat docks, old colorful buildings, and the flair of quirky Key West became their backdrop of their destination wedding photos. 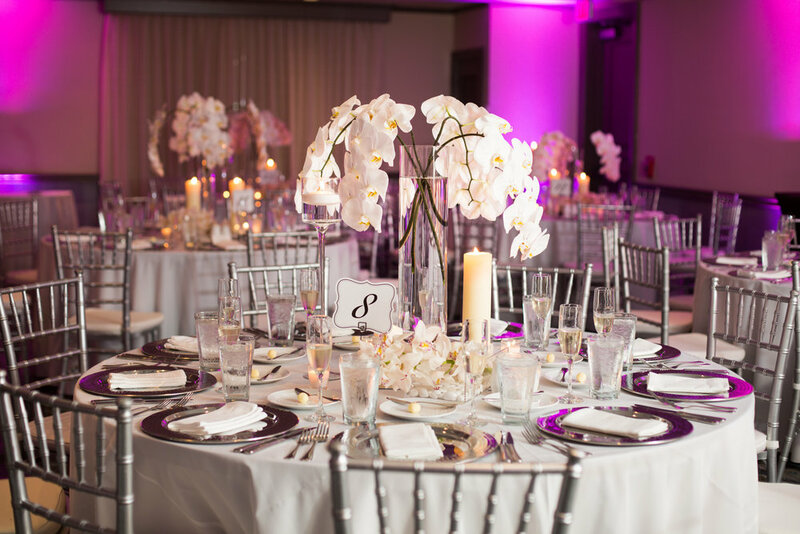 Once we got back to the reception, we were greeted with gorgeous purple uplights and a fun Photo Booth by Prestige Party Rentals, sumptuous tablescapes and floral displays by The Flower Trend, and a funky "fusion band" by LR Entertainment who incorporated DJ sounds with live musicians. The night concluded with lots of dancing, boisterous family swirling about the dance floor, the happy couple enjoying every moment, and wrapped up with one final photo cutting a rug on the checkered floor in the ballroom of the Pier House Resort and Spa. What was your favorite part of Erika and Romel's wedding day? Leave a Comment below! And check out their Highlights Gallery HERE!